Leaders W Connection on Saturday became only the second team after Defence Force FC to drop points against bottom-placed North East Stars this season when Stuart Charles-Fevrier's men needed a late Kadeem Corbin strike to come away with a 1-1 draw. 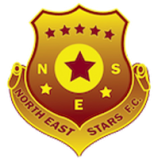 In the David-vs-Goliath Pro League fixture under sunshine at the Larry Gomes Stadium, North East Stars, still in search of a win after 13 games in all competitions, held the visitors to a goalless first half before taking the lead seven minutes into the second period through an own goal credited to veteran Connection defender Gerard Williams. But eleven minutes from the end Corbin rescued a point for Connection against the Zoran Vranes-coached side which they defeated 7-1 and 2-0 in the Charity Shield and in the group stage of the First Citizens Cup respectively this season. 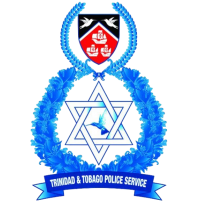 Elsewhere at Ato Boldon Stadium, Tyrone Charles was at his brilliant best, netting a beaver-trick as Club Sando defeated Morvant Caledonia United 5-3 in a dramatic contest after Defence Force enjoyed a 3-1 winners over Point Fortin Civic. 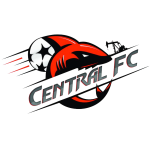 Defence Force and Sando both climbed three spots on the ladder to take over Police FC and Central for second and third respectively but all four are on 16 points--seven away from league favourites, Connection as the competition reaches the midway mark. 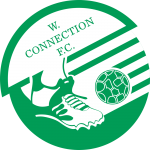 Keron "Ball Pest" Cummings scored his first Morvant Caledonia goal when he wrong-sided Sando first choice goalkeeper Kelvin Henry from the penalty spot in the 15th minute after Quincy Ballah was brought down in the area. But it wasn't enough to inspire his first win at the "Eastern Stallions" after three attempts since joining from Central FC in the August transfer window. Tyrone Charles, who switched back to Sando in the transfer window from Central, scored an uninterrupted double on either side of the break to twice give Angus Eve’s men the lead before substitute Shackeil “Smek” Henry scored a wonderful solo goal to complete the win in stoppage time. Charles first levelled Sando 1-1 in the 18th minute before putting his side in front 2-1 on 32 minutes with a delightful chip over goalkeeper Terrence Lewis after latching onto a defence-splitting pass from Jabari Mitchell. The gripping contest twisted again on the hour mark when Saydrel Lewis, a 20-year-old Grenada international forward, pulled Morvant Caledonia level when he knocked in a rebound after Henry had charged down an effort by substitute Sheldon Holder, who, two minutes later put the Jamaal Shabazz/Jerry Moe-managed side in front a second time with a scissors kick off a Richard Williams cross. But just as Sando coach Angus Eve reacted with a triple change, Charles delivered the goods again for his side, lacing an equaliser into Lewis' far netting to make it 3-3 in the 67th minute then punishing Morvant Caledonia from close up after a Nicholas Thomas free kick fell to his feet in the six-yard area on 89 minutes to lift the Oranges in front again 4-3. With his latest four goals, Charles (7 league goals) joins the Golden Boot chase behind Police forward Kareem Freitas (8.) and Connection’s Marcus Joseph (11). Shackeil Henry, who entered the field over the hour mark, weaved through three Morvant Caledonia shirts with Charles, one of two teammates in support, before smashing his solo effort past Lewis to make it 5-3 in first of five stoppage-time minutes. In the opening match of the Couva double-header Brent Sam, Shaquille Bertrand and Hashim Arcia grabbed a goal each for Defence Force before Bevon Bass netted a late consolation item for Civic after the Point Fortin side were denied twice by the frame. Sam, starting up front in place of veteran scoring ace Devorn Jorsling, fired through the legs of goalkeeper Akini Adams to put the "Tetron Boys" ahead 1-0 with his tenth goal in all competitions this season after fifteen minutes off a feed from winger Kendall Hitlal. Bertrand, for his first goal of the season, then made it 2-0 in the 33rd minute from close up off another Hitlal assist after Adams had saved a Sam free kick onto the bar. Sam later squandered a chance at the goalmouth off a Jelani Felix cross before some fine goalkeeping by Sheldon Clarke in the second half and the posts stood in Civic's way. Clarke denied Judah Garcia twice on the hour mark before the Akinola Gregory saw his efforts crash off the bar and the upright in the 81st and 88th minutes, respectively. Civic, second from bottom with just one win and two draw results, had fallen further behind in the 71st minute when Arcia arrived off the bench to lash home the "Tetron Boys"' third to make it 3-0. The visitors did however find a consolation item in stoppage time after veteran utility player Bass danced defender Rodell Elcock in the box before ripping a shot past Clarke who had denied him 22 minutes earlier. Civic will next host San Juan Jabloteh at Mahaica Oval at the start of round two in the Pro League on Tuesday. 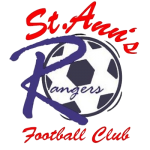 Defence Force and Morvant Caledonia will clash in the second of two games at Hasely Crawford Stadium after Police and Sando lock horns, while a double-header at Ato Boldon Stadium will see Terminix St. Ann's Rangers tackle Connection and Central against North East Stars. 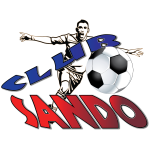 Club Sando 5 (Tyrone Charles 29’, 38’, 67’, 89’, Shackiel Henry 90’+1) vs Morvant Caledonia United 3 (Keron Cummings 25’, Saydrel Lewis 60’, Sheldon Holder 62’), at Ato Boldon Stadium. 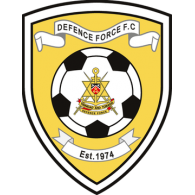 Defence Force FC: 25.Sheldon Clarke (GK); 4.Dave Long, 5.Jerome Mc Intyre (21.Aklie Edwards 53rd minute), 6.Rodell Elcock, 7.Jelani Felix, 8.Brent Sam, 15.Shaquille Bertrand, 23.Kerry Joseph (Capt.) (99.Jerwyn Balthazar 68th minute), 26.Justin Garcia, 27.Aaron Lester, 77.Kendell Hitlal (10.Hashim Arcia 62nd minute). Unused substitutes: 9.Devorn Jorsling, 39.Akil Morris, 80.Aaron Enil, 90.Jamile Boatswain. 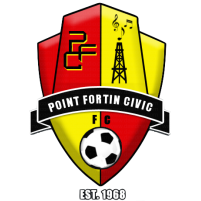 Point Fortin Civic: 52.Akini Adams (GK); 6.Judah Garcia, 18.Mickaeel Jem Gordon (30.Nion Lammy 39th minute), 20.Bevon Bass (Capt. ), 24.Akinola Gregory, 25.Shaquille Dublin (12.Rondell Phillip 64th minute), 26.Jeremiah Kesar, 29.Ronald Charles (8.Jamal John 39th minute), 33.Justin Sadoo, 55.Seon Thomas, 99.Steven Joseph. Unused substitutes: 22.Miles Goodman (GK); 14.Shaquille John, 15.Nideon Noel. Club Sando: 34.Kelvin Henry (GK); 5.Trevin Latapy, 7.Akeem Humphrey, 10.Keron Cornwall (8.Kevon Piper 67th minute), 11.Jabari Mitchell, 13.Shakiyl Phillip (9.Shackiel Henry 67th minute), 15.Jabarry Francis (12.Michael Basdeo 66th minute), 17.Tyrone Charles, 23.Nicholas Thomas (Capt. ), 27.Jayson Joseph, 44.Josiah Trimmingham. Unused substitutes: 33.Enrique Changiah (GK); 14.Kadeem Gittens, 18.Aaron Kennedy, 25.Aaquil Campbell. 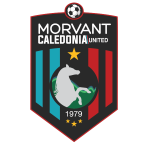 Morvant Caledonia United: 1.Terrence Lewis (GK); 3.Richard Williams, 4.Maurice Force, 6.Keion Goodridge (15.Malik Mieres 46th minute), 7.Jesus Perez, 11.Quincy Ballah, 13.Saydrel Lewis (17.Kerry Daniel 81st minute), 14.Melvin Doxilly (10.Sheldon Holder 59th minute), 20.Keron Cummings (Capt. ), 22.Joshua Alexander, 29.Aikim Andrews. Unused substitutes: 31.Vino Barclett (GK); 9.Sedale Mc Lean, 19.Renaldo Francois, 21.Shem Clauzel. 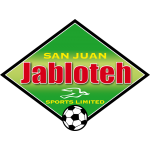 Point Fortin Civic vs San Juan Jabloteh, 7pm at Mahaica Oval.